It is no secret that owning a motorcycle is one of the finest pleasures in life. And having the right motorcycle accessories can make that feeling even better. Among motorcycle accessories, there will always be a few essentials that are inherent to owning a motorcycle, like a helmet. 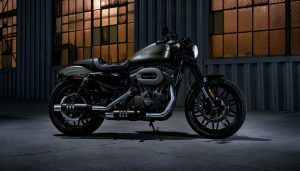 However, just like every other product, new motorcycle accessories are introduced everyday, and there are some you might actually want to check out soon. 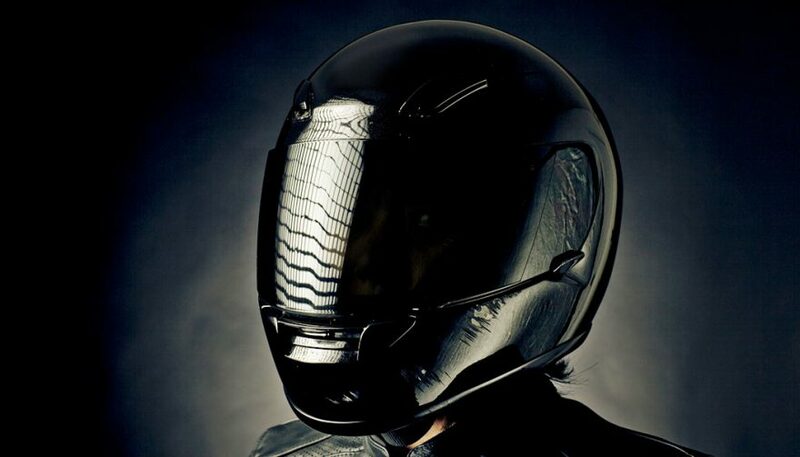 Here are five motorcycle accessories you have to have, and five you didn’t know you had to have. It’s one of the things you shouldn’t leave your garage without. 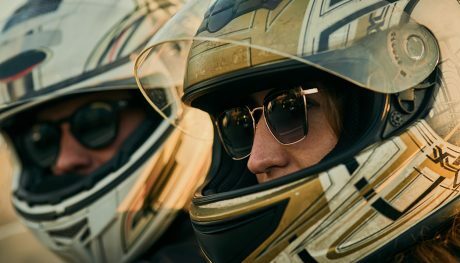 The purpose of a helmet isn’t to look cool but to keep your brains inside your skull. More than 4,000 motorcycle deaths occur in the United States each year and nearly 100,000 injuries. Don’t be a statistic, cover your noggin. One of the highest rated helmets available is the Shoei GT-Air. It’s one of the quietest, has excellent protection, and includes an internal drop-down sun visor. Older riders will have scars on their arms and elbows that they wear like a badge of honor. Others might call it something closer to stupid. It’s proof they weren’t wearing proper riding gear. 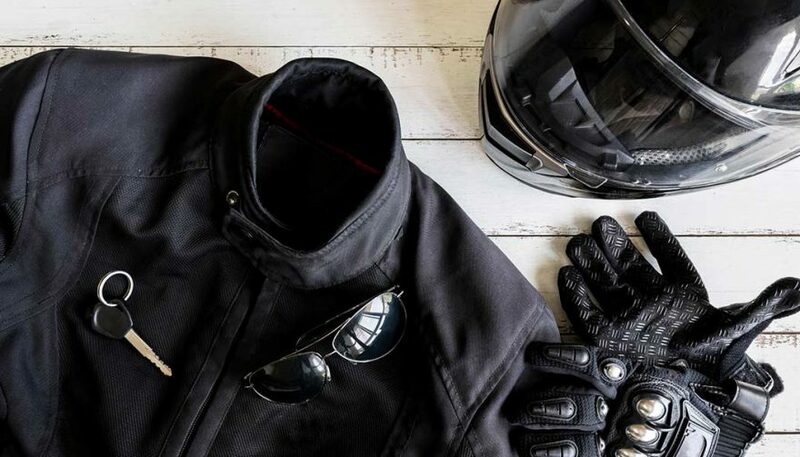 A high-quality jacket looks cool when you’re riding and saves you weeks of recovery and skin grafts. 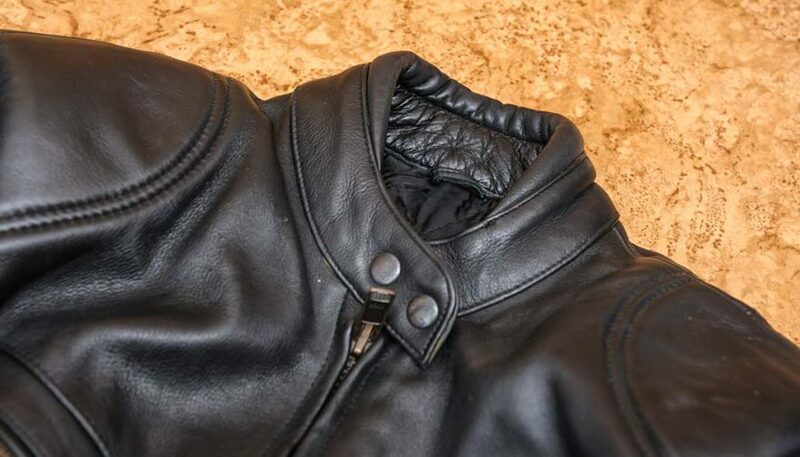 One of the most popular riding jackets is the Joe Rocket Classic ’92. It’s made of cowhide leather with a retro pair of accent stripes on the arm sleeves. This jacket is a relaxed fit for easy movement in the seat, including the bend formed into the arm. It has pockets sewn in that can hold armor. A backpack does the trick to carry your stuff when you’re riding short distances. But if you’re taking your motorcycle on a road trip, your back will get sweaty and your spine starts to stiffen up. 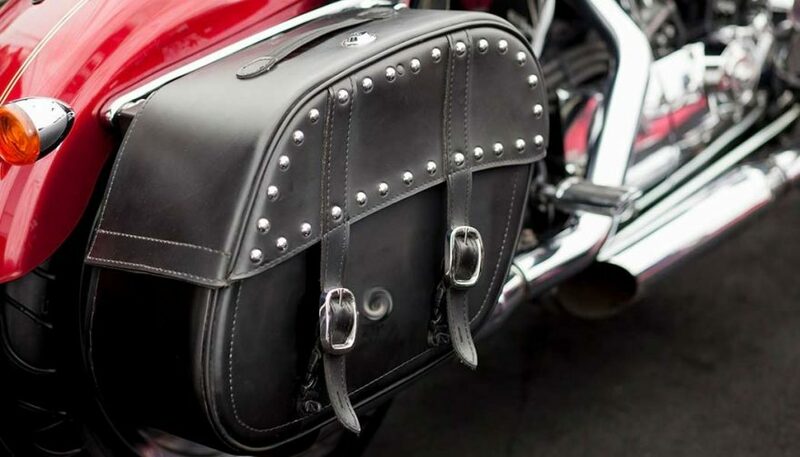 Saddlebags are a better idea, and you can get them for most types of motorcycles. A top supplier for motorcycle saddlebags is Viking Bags. You have your choice of leather or hard-sided plastic. There’s a set to fit your bike’s design, either direct fit or universal. Most cars come with a navigation system as optional. 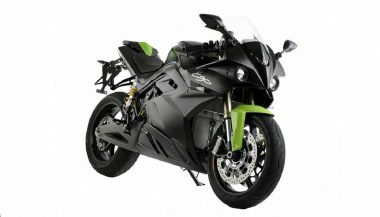 Motorcycles aren’t so lucky unless you’re getting one of the most expensive cruisers. But because getting lost isn’t always as much fun as you imagined, it’s a good idea to invest in a GPS system for your motorcycle. The Garmin zumo 595LM is designed for the two-wheeled rider. It provides detailed maps with lifetime upgrades, navigation, Bluetooth music streaming and hands-free calling capability. It includes the mount in the box too. 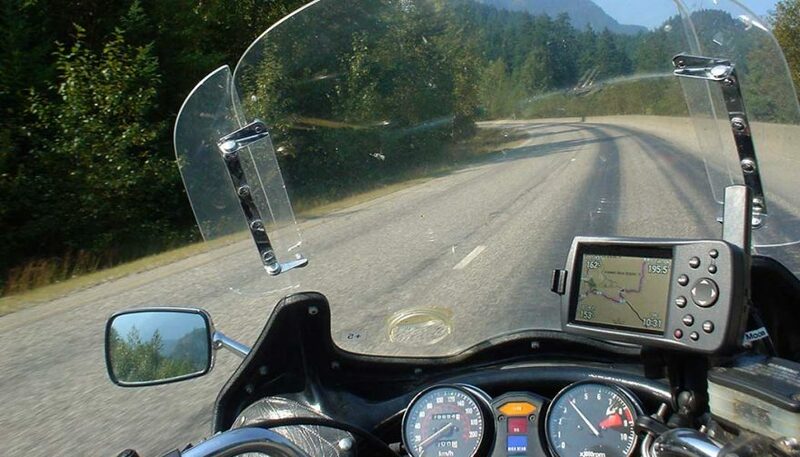 Any motorcycle rider knows that long rides are brutal on your hands. You get that buzzing feeling and numbness coursing up into your forearm until you have no choice but to stop. Giving your throttle hand a rest while you’re riding is virtually impossible, except if you have cruise control. BrakeAway has a cruise control system that works for almost any bike. It’s a mechanical system that’s easily engaged, maintains your throttle position, and releases at the first touch of your throttle or clutch lever. If you don’t have an indoor spot to park your motorcycle, you’ll never sleep. All night, you constantly worry that it’s going to be stolen, tipped, vandalized or, worse yet, rained on. Soft motorcycle shelters aren’t much use, but there’s a nice little shelter that will keep your bike safe and dry. 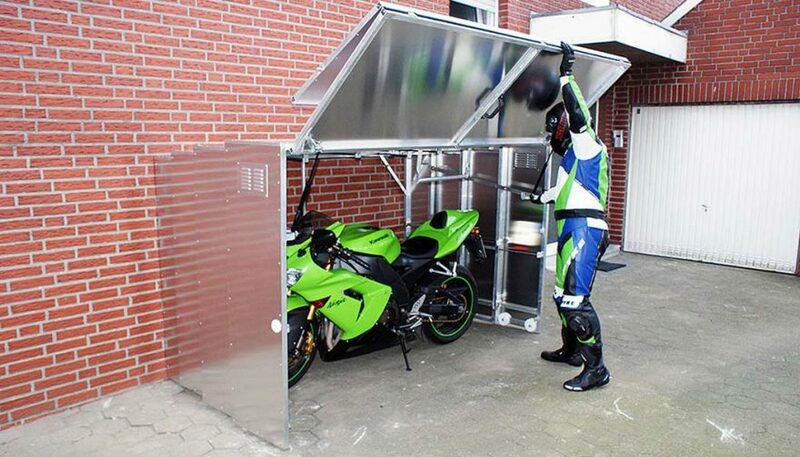 A German company has made a shelter called “Die Motorrad Garage,” literally translated to The Motorcycle Garage. It secures to the side of a building and extends out and around your bike with a hard-sided shelter that locks. When not in use, it folds up and out of the way against the building. Since checking tire pressures is one of the most forgotten items in motorcycle maintenance (you should check before every ride), it’s a good idea to have technology monitor it for you. 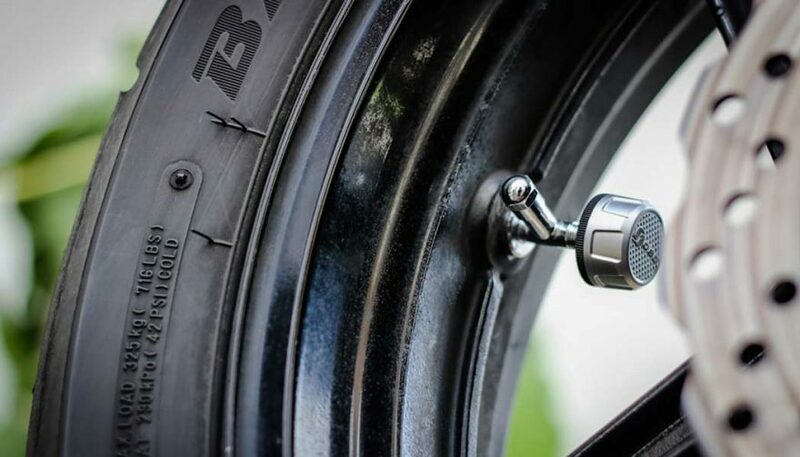 Most cars since 2008 have a tire pressure monitoring system (TPMS), so why not have one on your motorcycle? 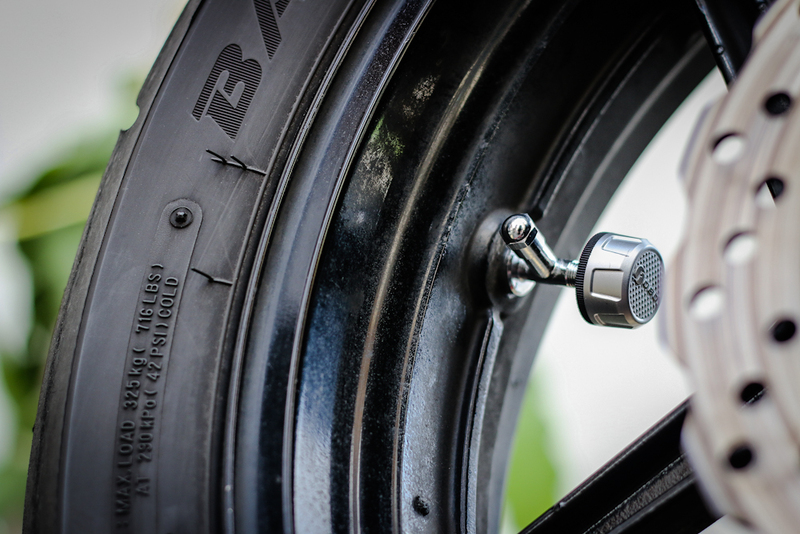 A very basic, easy to use TPMS system for your bike is FOBO Bike. There are two sensors that screw onto your valve stems and communicate with your smartphone via Bluetooth. You’ll be notified the moment your tire pressure drops below the threshold you set in the app. On cold, clear mornings, you still want to ride your bike. But you don’t always have five or 10 minutes to warm your engine so it isn’t idling at 2,000RPM. Like your car, remote start is available to get your bike to operating temperature before you hit the highway. Spy remote engine starter systems can be found online for extremely cheap. 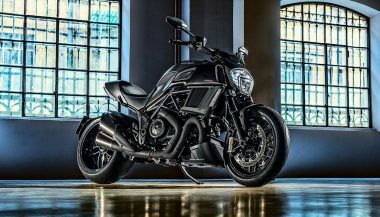 They include a security system and optional proximity sensor to keep the trouble at bay, and have an operating range of up to 5,000 ft. Just make sure you get it professionally installed, otherwise your bike might try to start while it’s in gear, and that’s not good. 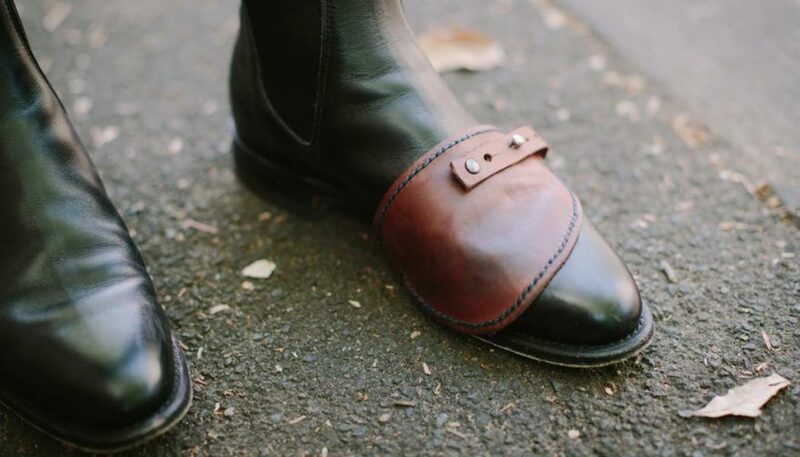 So you’ve got a fancy new pair of riding boots and you don’t want to scuff the toe up? Usually, you’d be out of luck. But there’s a product available that can prevent all of that, and it’s cheaper than replacing your shifter. The CL-SHIFT Boot Protector by Nelson Rigg is the low-cost solution to unsightly boot toes. Made of neoprene, it stretches over the toe cap on your boot and a Velcro strap around the heel holds it in place. It sounds silly, but when did that ever stop you before? Why not relax you while you ride? The guy who custom-upholstered your bike seat is about to do it again once you look this up. You can install a heated seat for your motorcycle that also has a massage function. InSeat Solutions has automotive solutions for heating and massaging that can be used for your motorcycle too, known as the Relaxor series. It takes your upholsterer an hour or two to install it, and you’ll be able to stay comfortable and relaxed while you ride. It’s great for early- and late-season riding especially. 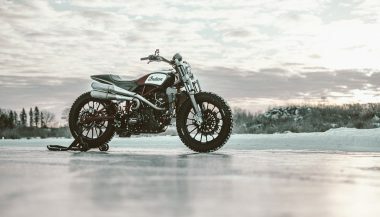 Indian Motorcycle 2019 Lineup: How Do You Choose Just One? Indian Motorcycle has an awesome blend of modern tech and the retro design that’s so popular right now. The problem is, how do you choose just one? Electric Motorcycles: What Hath Tesla Wrought? They look like bikers but where is the chest-rattling rumble? And then you realized you've just been lapped by a group of electric motorcycles.